I got up this morning, and noticed that my brittle star fish has lost 4 of the 5 tips to his arms. Should I be worried? I have never seen him do that before. Also he does not seem to be eating as much as he did before. I try to feed him, and he takes it then releases it a few minutes later. What are you feeding and how often? Do youhave large swings in sg due to evap or water changes? Hate to say it but I read a bunch of stories that started just like yours and dont think I ever seen a happy ending yet. I'll keep my fingers crossed for ya! I am trying to feed it every other day. But as I said it has not been taking food allot for the last week or two. I am feeding it freeze dried krill. My salinity doesn't change that badly. 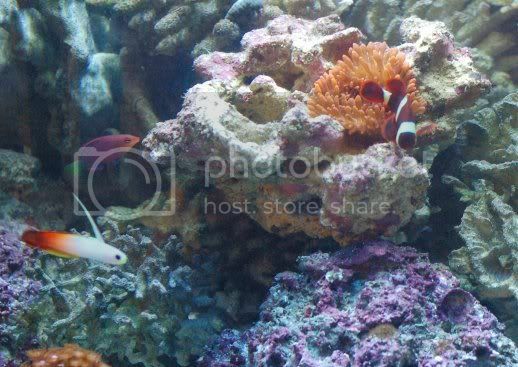 I have an automatic top off system, so it keep the water full in the tank, and the salinity around the same constantly. The only thing I can think of, is I just recently moved. And using town water instead of well water. I am putting instant ocean Marine Conditioner into the top off bucket. After Christmas I will be looking into installing an RO/DI system for water. How is the star doing? Sorry for the delayed response. Been working out of town. The star fish did not make it. I would use RO/DI water instead of tap water. City water sources contain chloramines and often have higher levels of elements and chemicals than are good for our fish. Brittle star, good or bad?